Start creating content with BITS. 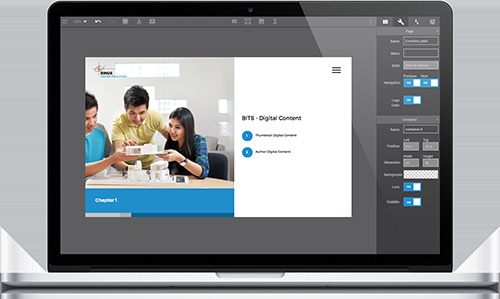 There are more than 20 templates you can use for your digital content. Opening templates, content layout templates, and assessment templates are ready to use. 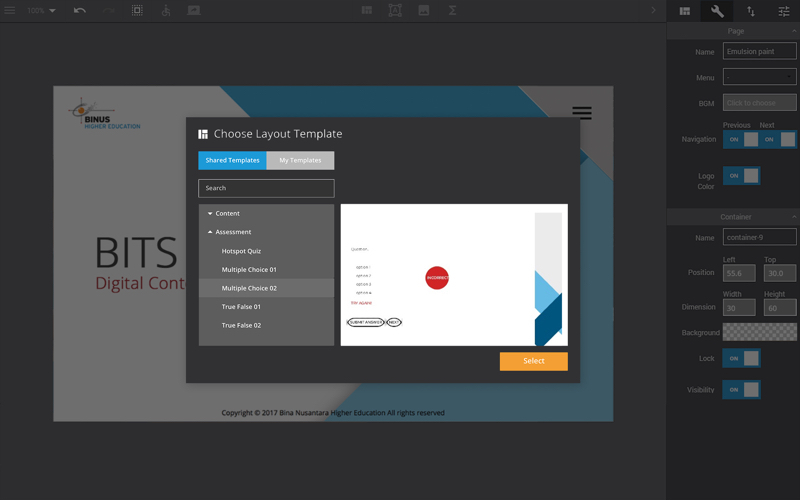 BITS also provides you a blank canvas to make sure you can develop your creativity on designing on your own template, in which you can save the template for future use. BITS enables you create the assesment to measure how far the learners engaged with your contents. BITS provides you multiple choice, true-false, short answer, and dropdowns assesment type. Try something new by using our interactive hotspot and drag&drop feature. Check our help page to see how to use. 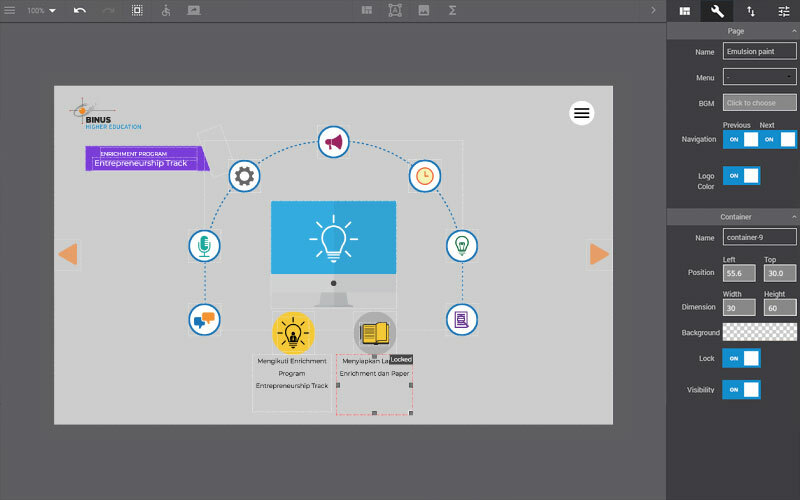 Liven up your digital content by using animation. 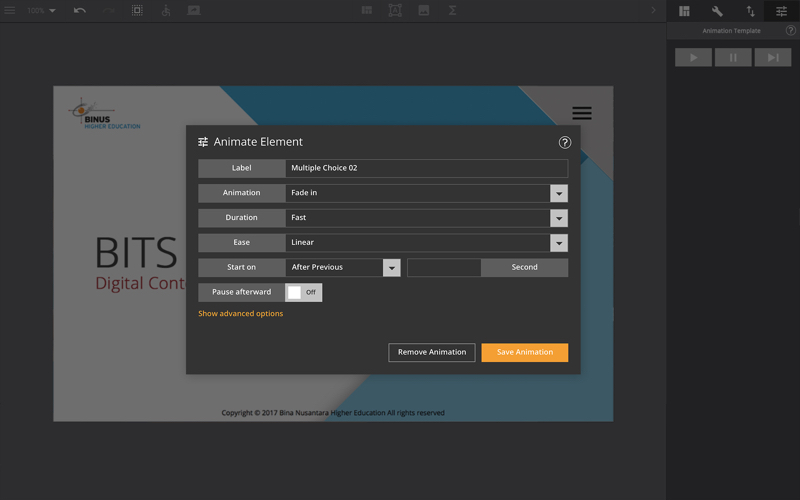 BITS has enough animation tools to make your digital content more appealing. Make sure the animation supports your content appropriately, so that the learners will have a better understanding towards your content. It will help build the learners mental model as well. In the end, after the steps of digital content are completed. The digital content you have created will be ready to use. 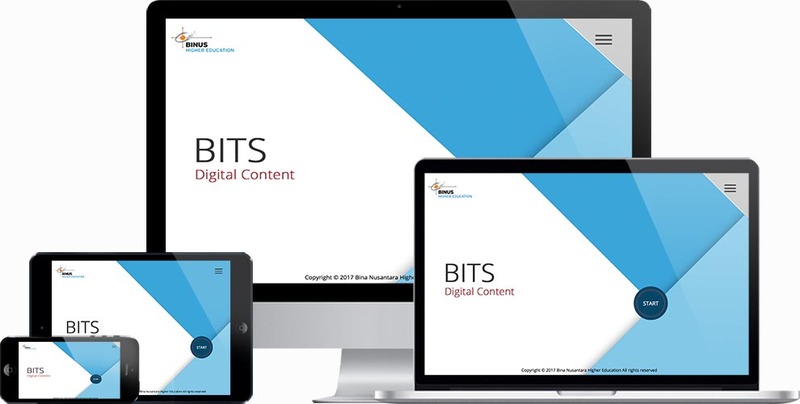 BITS uses HTML5 publishing mechanism which enables your content accessed in multiple devices, such as computer, laptop, and mobile device. Saya salah satu dosen yang beruntung karena sejak BITS dikembangkan, saya sudah dilibatkan, dari mulai kesusahan mengikuti cara pembuatannya, sampai saat ini yang sudah lebih user friendly(terutama buat yg gatek macam saya). membuat digital content jadi lebih mudah dan tentu saja, menarik. Dengan adanya BITS ini sangat-sangat memudahkan saya untuk membuat konten multimedia untuk OR yang sedang saya susun.